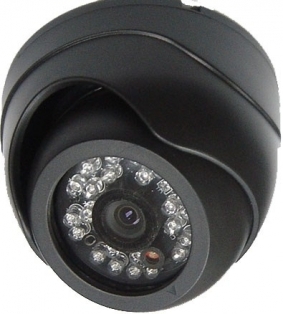 This 5420IR is sleek indoor mini dome camera. It is deal for watching over smaller areas during the day or at night. It features 23 Infrared LEDs to allow you to see up to 50ft in complete darkness. A 1/3" Sony Super HAD II CCD image sensor delivers 420TV lines of clear video. It’s 3.6mm lens provides you with a 75° angle of view making it ideal for multiple applications such as in view of a room, or hallway.